Justin Sullivan/GettyBuyer demand is in high gear. The median price for a home in California is just over $US600,000, a new record high. That’s more than double the US median home price. The Bay Area is the most expensive region, with five counties recording a median price above $US1 million. For the first time in history, California’s median home price hit $US600,860, according to the California Association of Realtors (CAR). The record was based on home sale prices in May and was up 2.8% from April and 9.2% from May 2017. California’s median-priced home – where half of the homes sold below that number and half sold above – is more than double the national median home price of $US264,800. California’s median price previously peaked at $US594,530 over a decade ago, according to CAR. “As we predicted last month, California’s statewide median home price broke the previous pre-recession peak set in May 2007 and hit another high as tight supply conditions continued to pour fuel on the price appreciation fire,” CAR Senior Vice President and Chief Economist Leslie Appleton-Young said in a press release. The upward pressure on prices is caused by a major shortage of housing supply in the state, particularly in the bottom end of the market where homes are priced below $US200,000. In the last year, availability of those homes declined by nearly 29%, while the supply of homes on the market priced at $US1 million and up increased by more than 18%. No region is more expensive than the Bay Area, where the median price jumped 16.4% from May 2017 to May 2018, hitting $US1,088,000. By comparison, the median price in Los Angeles county is $US530,000. 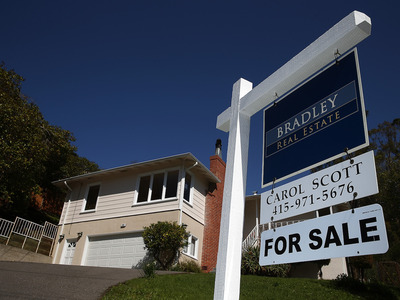 It’s the Bay Area’s second straight month with a median price above seven figures. Alameda, San Francisco, San Mateo, Marin, and Santa Clara counties – five of the nine total counties – all recorded a median price between $US1 million and $US1.62 million. And buyers in San Francisco County paid an average of 18% above asking price. But across the US, rapidly appreciating prices coupled with slow-paced incomes are leading to overvaluation, meaning prices are above sustainable levels and affordability is shot. But mortgage rates are rising, which could slow demand and wind down prices once again. “With inventory starting to show signs of improvement, however, home price appreciation could decelerate in the second half of the year, especially since further rate increases are expected to hamper homebuyers’ affordability and limit how much they are willing to pay for their new home,” Appleton-Young said.